Stay at Formby Hall Golf Resort & Spa. 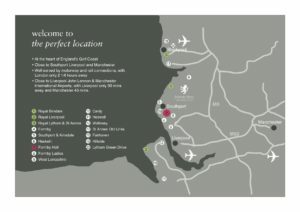 Situated in the heart of England's Golf Coast and only a short drive from Royal Birkdale, Royal Lytham & St Annes, Royal Liverpool and numerous other championship courses. Formby Hall offers players a choice of a Championship 72 par Old Course and the 9 hole Woodhey Dunes Course. Being a PGA Academy, we also offer a wealth of experience to ensure you get the best from your time on England's Golf Coast. Our Golf Concierge Service is on hand to ensure your every requirement is looked after. From airport transfers, transportation, booking tee-times at all course, tours, dining and insider tips from our PGA Professionals. We offer an extensive knowledge of England’s Golf Coast and can also arrange additional tours and arrangements in Liverpool and throughout North West England. Our Golf Sales Team are on hand to create personalised itineraries for individuals and golf groups. For a bespoke quotation and to book call the Golf Sales Team now on 01704 875 699 or click here to send an e-mail enquiry.